Staff are warm and friendly. Kitchen facilities are well equipped and location is perfect! very friendly and helpful staff,the unit was spotless and easy to use,great location for work and recreation .outside noise at night was a problem and phone calls from other rooms at 2-3 am wanting the main desk not appreciated.Otherwise a great stay. We have identified an issue with our phone system that was forwarding some calls to a different extension. This has been rectified. This is my 3rd stay at the Alto and i will be coming back on the 26th October. Everytime my experience at the Alto has been excellent and i will always recommend the Alto to my friends and family. IT WAS A VERY FAMILY FRIENDLY hotel IN WHICH I WOULD STAY AGAIN IF AND ONLY IF I WAS 100% GUARANTEED A ROOM THAT WAS NOT ON THE TRAM SIDE OF THE BUILDING. I DID REQUEST A QUIET ROOM BUT THIS WAS OVERLOOKED AND WE WERE GIVEN 301 WHICH WAS VERY NOISY BECAUSE OF THE TRAMS. THE hotel WAS FULLY BOOKED SO NOTHING COULD BE DONE ABOUT IT. I THINK MORE ATTENTION TO SPECIAL REQUESTS NEED TO BE LOOKED AT WHILST ALLOCATING ROOMS.LOVE LOVE LOVE THE COFFEE MACHINE AN EXCELLENT IDEA. We do take notice of guests request and do our best to meet all of the desires we receive. One of the advantages of our location is proximity to transport and other amenities however with this proximity there is a drawback of some noise may be noticed in the very few rooms facing Bourke Street from trams crossing the changeover point in the tracks. We have double glazed the windows to reduce any disturbance and have recently written to Yarra Trams requesting a speed limit be placed on this section of track as speed appears to have an effect on the disturbance. We have stayed at Alto several times before and always find it to be good value and comfortable. Loved it. The relaxation room 5 star. fantastic place to stay with personalised service. we loved the expresso bar and all the advise. Great everyone there was very helpful nothing was to much trouble. Felt like we had the place to ourselves. I was only there for one night on business, but have stayed at the Alto almost every year since it opened in 2007. I love the whole philosophy of the management and the fact that it's an intimate friendly place - not a marble cave like most hotels! I recommend it to all my friends in Perth if ever they are travelling to Melbourne. Very pleasant, reception staff were particularly entertaining and welcoming. Our windows are double galzed to block out most of the city noises. However they can be opened for fresh air, yet will not provide the sound insulation of the glazing when closed. We were extremely impressed. I had read the reviews on TripAdvisor and it lived up to all our expectations. We won't bother to stay anywhere else now when we're in Melbourne, we'll be back to Alto and recommending it to friends. Thanks! Fantastic. Great location from Southercross Railway. The restaurant was great value as was the service. 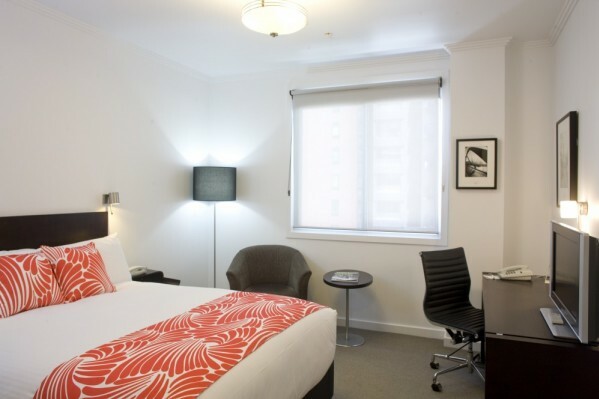 The Alto Hotel is very convenient to Etihad stadium and Spencer St train station and skybus from the airport. The staff are really friendly and helpful and the hotel is clean and well maintained. Whenever we come to Melbourne we always stay here. We really love that it's a "green" hotel, the 24hr reception and security is first rate, and the coffee machine is wonderful after a cold night at the football. With the added bonus of included breakfast this was really good value for money. Comfortable room. good sized bathroom with great shower and bulk toiletries. We liked the opening windows, individual aircondirioning, good quality appiiances. Overall a great place to stay. A spotless room/hotel, everything worked, and fantastic location for Etihad, trams, trains, Docklands - all in easy walking distance. Breakfast was yummy, even if the dining room a little crowded, but food was same high standard on both our days. We enjoyed the hotel, but not so much the nightclub noise from the hotel across the street till 5 am. A big thumbs down to the Royal Melbourne hotel nightclub - its not even live music! Thankful for the double windows which did help a little. Loved the fact we had windows with a view to the street, and could open them occasionally for fresh air. the Alto was located in a fantastic spot and we thoroughly enjoyed our stay. I absolutely loved our stay at the Alto. Staff were ever so friendly and helpful. if we had a question it was not a bother for them to answer and their replies came across as genuinely happy to help us. the beds were sooooo comfortable, a nice change from most hotels. i even placed Alto Hotel On my facebook as a highly recommended place to stay while in the city of Melbourne. thank you so much Alto Hotel - well done! Glad to see you liked our beds. We are even about to to replace them with more luxurious ones with a deep pillow top mattress and cocooning doona / continental quilt. Very efficient place to stay. Nice room. Just a little noisy - the trams. All rooms have double glazed windows that can be opened. Closing both sections wof window would reduce external noise. Most rooms face away from Bourke Street and the tram lines. Nice small hotel, good location, car parking a little way a way. I liked the small restaurant and mini lounge with the library. Fantastic, great reception staff. Trang is so friendly and a great assett to The Alto. Love the free massage room and 24 expresso and hot chocolate. Will be back next time we visit Melbourne. A very inviting hotel, 'charming' - possibly small by some standards, but perfectly formed.... fabulous staff, fabulous service, relaxing, chic decor in keeping with the classic history of the building - gorgeous. We were made to feel very comfortable and welcome, part of the 'family' so to speak...the beauty of a 'small' hotel. Big bonus!!! Quite pleasurable. Good range of items for the breakfast specials, although the hollandaise sauce for the eggs benedict could be improved. We had very nice stay. Excellent! The only problem is the housekeeping staff sometimes forgot we have 3 people staying at the room and provided only 2 sets of towels. A bit noisy at night, but the location and front desk staff are excellent. It was an amazing stay. Very conveniently located. Very cosy apartment. My only problem. When we checked in we were told we had a bedding configuration of 1 king double and 2 singles. And ended up with 2 queen doubles. The staff were very friendly and helpful. Thankyou for the experience. Easy to locate, not too far from most places we were keen to go, staff had good local knowledge and were helpful. Rooms impeccably clean, bed super comfy. Great attentive and friendly welcome and all good from there on. Thank you. I stay in many hotels and I could not fault the experience, the staff were friendly and the place was well equipt, over and above most. The only comment I could make is the water pressure in the shower, but given the green rating achievements which I suspect are related it is a small price to pay. Friendly and fast check-in, modern rooms without the usual hotel chain blandness and the rooms free from outside noise were the key highlights. First visit as usually stay elsewhere, however we will now make this our regular. Only marked off perfect due to higher weakened rates (as expected) and partner hearing hallway music in room at one point in night. Very enjoyable, room had all reqd amenities., appreciated toaster.